According to data published previously by the Asylum Annual Report of the European Union, since 2013, about 157,000 Albanian citizens have applied for asylum, with the highest number in 2015 with about 69,000 Albanians, and 33,000 in 2016. From these data, processed by Monitor, Albania ranks first in the world, surpassing even asylum seekers fleeing the war and conflicts, due to the relatively small population - the population of Albania is 2.87 million. For every 1000 inhabitants in Albania, the number of asylum seekers in the European Union countries was 9, leading the top list. The citizens of Gambia ranked second, with 6.5 asylum applications per 1000 inhabitants. Aside from the escape as immigrants, another tendency is accelerating, that of abandoning the Albanian citizenship. 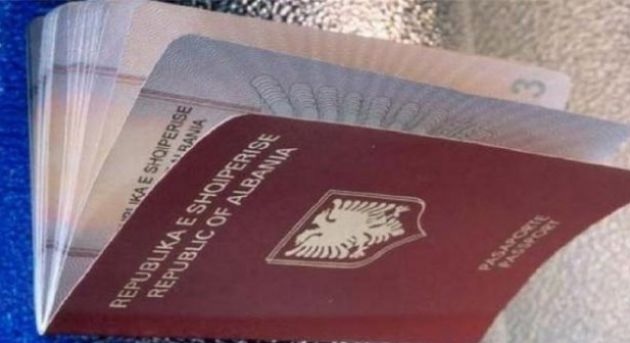 The figures published today by INSTAT indicate that the number of those who give up Albanian citizenship has increased. "In 2017, there are 651 people who have resigned from the Albanian citizenship, increasing by 32.9% compared to 2016," reports INSTAT. This figure is twice as high as those who want to take a passport. "In 2017, there are 316 people who have acquired the Albanian citizenship, increasing by 12.5% compared to 2016."